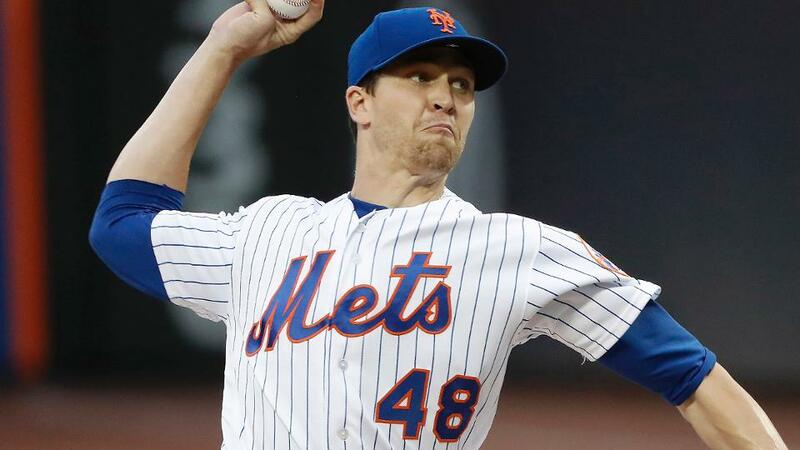 Mets ace Jacob deGrom equaled a career high with 13 strikeouts and posted his eighth straight start in which he allowed one run or fewer against the Cubs on Saturday night at Citi Field. deGrom fired seven innings of one-run ball vs. Chicago. After whiffing Kris Bryant to finish the seventh inning on his season-high 116th pitch, he was lifted for a pinch-hitter in the bottom of the frame. In all, he allowed seven hits and two walks to go with the 13 strikeouts.